Steve Tyrer scored a hat-trick as Halifax beat Bradford 52-18 to end the Bulls' hopes of home advantage in the Million Pound Game. Bulls coach James Lowes rested a number of players with next week's crucial clash with Wakefield in mind and watched his much-changed side collapse having led 18-16 at the break. 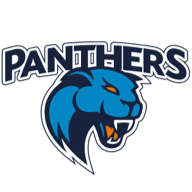 Full-back Ryan Shaw, who is leaving Bradford for Hull KR at the end of the season, added the extras to his two tries and Matt Ryan's effort to give the Bulls that advantage, with Tommy Saxton, Tyrer and Dane Manning crossing for Halifax. The visitors lost Ryan Maneely to the sin bin at the start of the second half but still took the lead through Saxton's second try, extending it with another Tyrer touchdown. 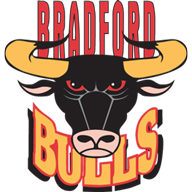 Ben Johnson scored twice in four minutes to make the points safe before Adam Tangata and Ben Heaton continued Bradford's misery, which was complete when Tyrer completed his hat-trick after the final hooter.